The book covers all concepts with examples that can be built, deployed, and run by readers using the Apache Ant tool in Apache ServiceMix, which is an open-source Enterprise Service Bus that combines the functionality of a Service Oriented Architecture (SOA) and an Event Driven Architecture (EDA). The aim of this book is to prepare an architect or developer for building integration solutions using ESB. To that end, this book takes a practical approach, emphasizing how to get things done in ServiceMix with code. When needed, it delves into the theoretical aspects of ESB, and such discussions are supplemented with working samples. 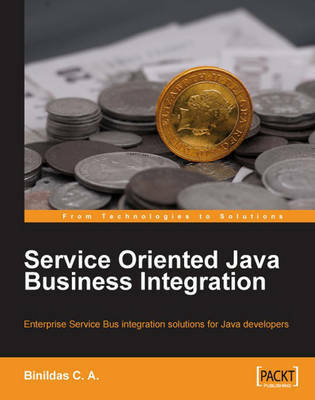 The book, thus, distils some of the knowledge that has emerged over the last decade in the realm of Java Integration. This book is aimed at Java developers and integration architects who want to become proficient with the Java Business Integration (JBI) standard. Readers should have some experience with Java and have developed and deployed applications in the past, but need no previous knowledge of JBI. The book can also be useful to anyone who is struggling to understand ESB and how it differs from other architectures and to understand its position in SOA.